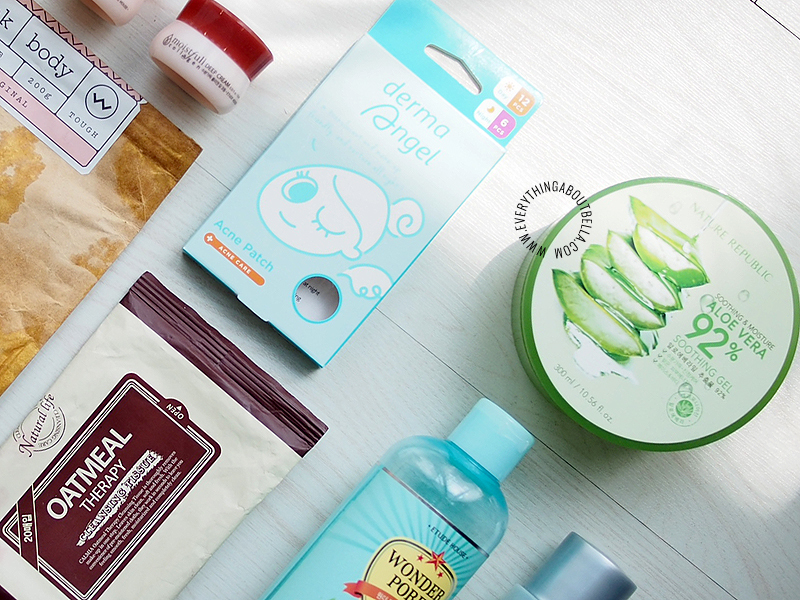 Starting from top left corner, my forever favorite wash-off mask. Blackout Mask // This has been my favorite for the past year, emptied this one, almost empty another one (most probably gonna be on my empties-part-two post), and still have another one in stock. BECAUSE I LOVE IT SO MUCH. Whenever my skin is acting up and not in its best condition, I'd put this on and I'd almost instantly wake up on the next day with better, clearer, smoother, and softer skin. 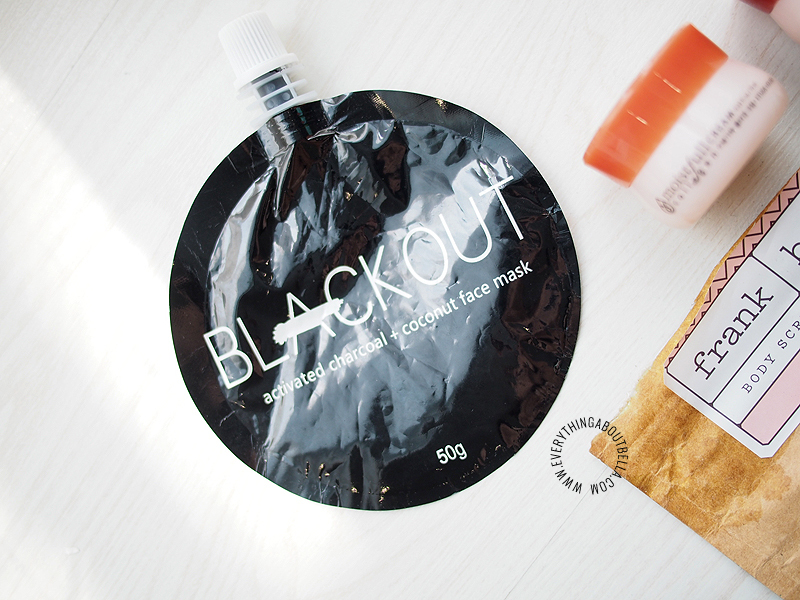 You can check it out here for this blackout mask review. Definitely super recommended! Etude House Moistfull Collagen Cream and Deep Cream // I always get a trial size whenever possible when I want to try out a new skincare product and so I got these two a while ago. Guess what? I am totally hooked on these! Wow. Just amazing products. Plus they are so affordable too. I love the both of them, I can't choose which one's better. When my skin is in okay condition - the cream is great because it absorbs fast and I love it, but when my skin is dry - the deep cream is perfect because it's super rich! 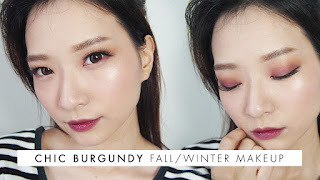 They work so well with my skin, and I always get amazing supple soft skin using this Moistfull series from Etude House. I am planning to purchase this cream in full size, not sure which one to get, probably gonna get the half & half one, yes Etude House did make one tub with half the cream and half the deep cream, amazing isn't?! Perfect for indecisive person like me. 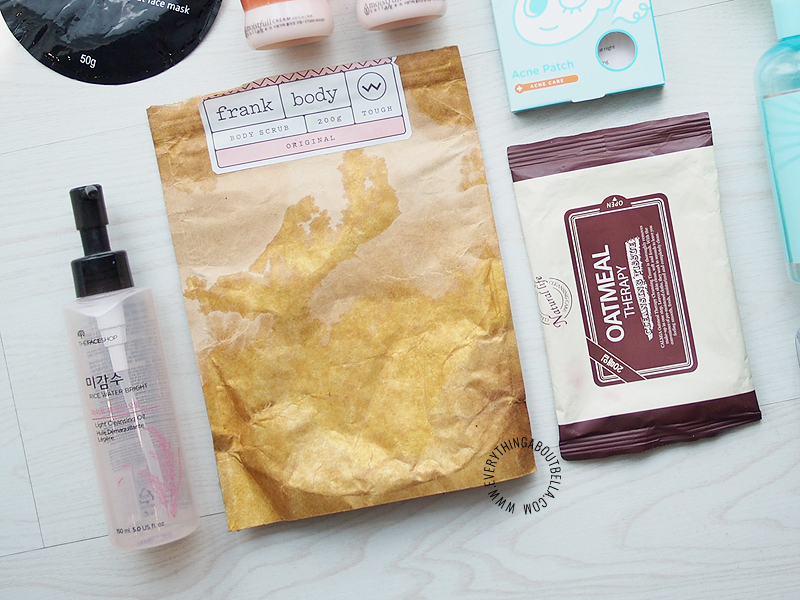 Derma Angel Acne Patch // Reviewed this too last time, and I completely used it all up in days! I like it, even though I am not repurchasing because I want to try out other acne treatment products. Love how it can covers pimple under makeup so the pimple can stay clear from makeup during the day. Nature Republic 92% Aloe Vera Gel // Everyone knows this one, right? It's a staple and I always have this in stock for whatever situation I might need it for. Read my review over here. 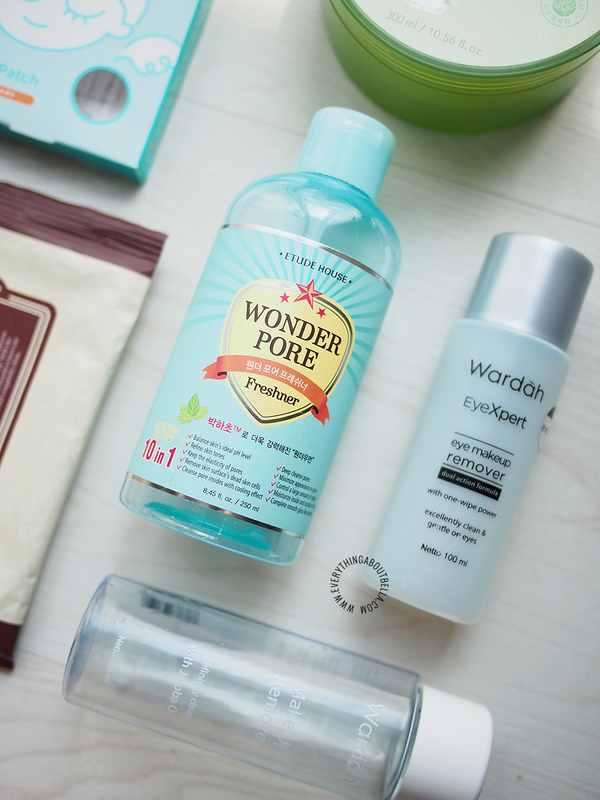 Etude House Wonder Pore Freshner // Loved it but not good enough for me to repurchase. Nothing really special about it but still a good quality toner for such an affordable price. Worth the try. Wardah EyeXpert and Makeup Remover // A local Indonesian brand, and these two has been my go-to eye and lip makeup remover, since they are soooo affordable. Some makeup removers sting my eyes, these two don't, which is good. They don't remove waterproof makeup fast, but they still do it. Not the best out there, but worth it since they are cheap and readily available everywhere. Calmia Oatmeal Therapy Cleansing Tissue // Meh. Not a good cleansing tissue. Bought this during sale one time and definitely not recommended. Doesn't really remove makeup, dries up fast after opening even though I closed it up well. I just used it up because I didn't want to waste it. 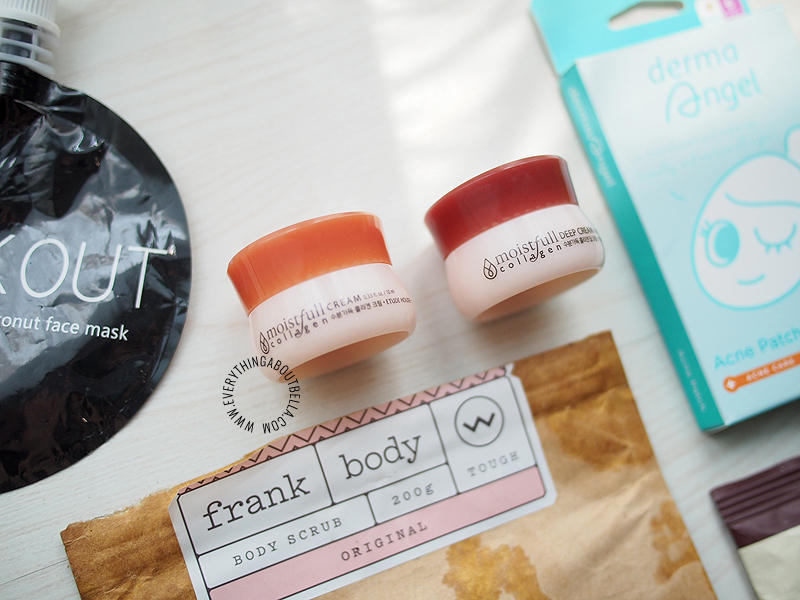 Frank Body Scrub // Always makes my skin super super super smooth and smells super good! Not something I would repurchase again now since it's quite pricey and there are currently a lot of similar natural coffee body scrub brands locally here in Indonesia. Read the review here too. The Face Shop Rice Water Bright Light Cleansing Oil // Another meh product. It does remove makeup, and the pump bottle is such a good addition since it makes it really easy to dispense the oil. 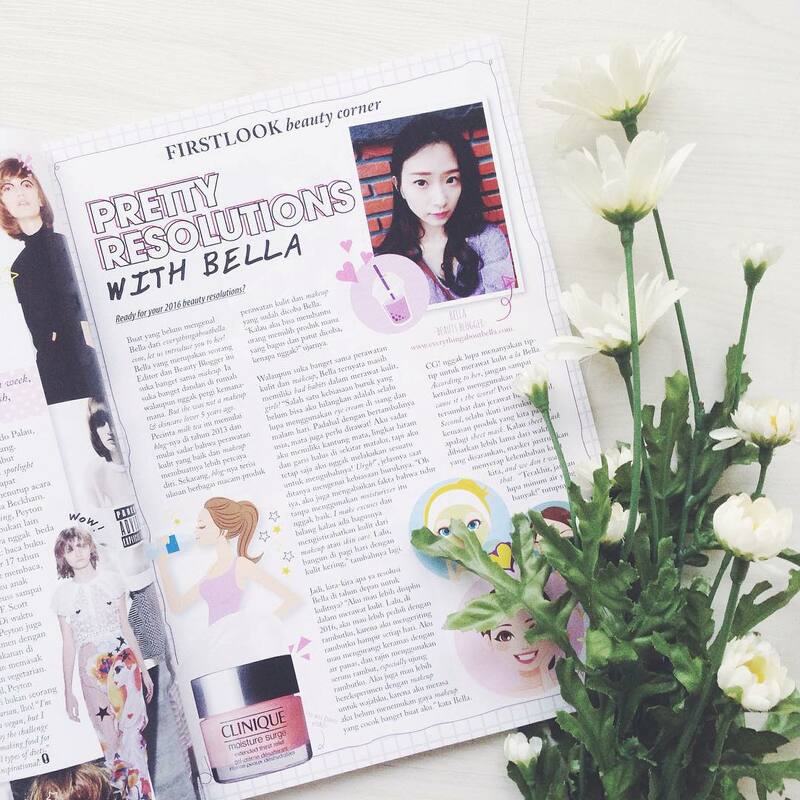 The formula is light and easy to use but I prefer using cleansing balm nowadays. Not repurchasing. It's light and affordable though so still worth the try! 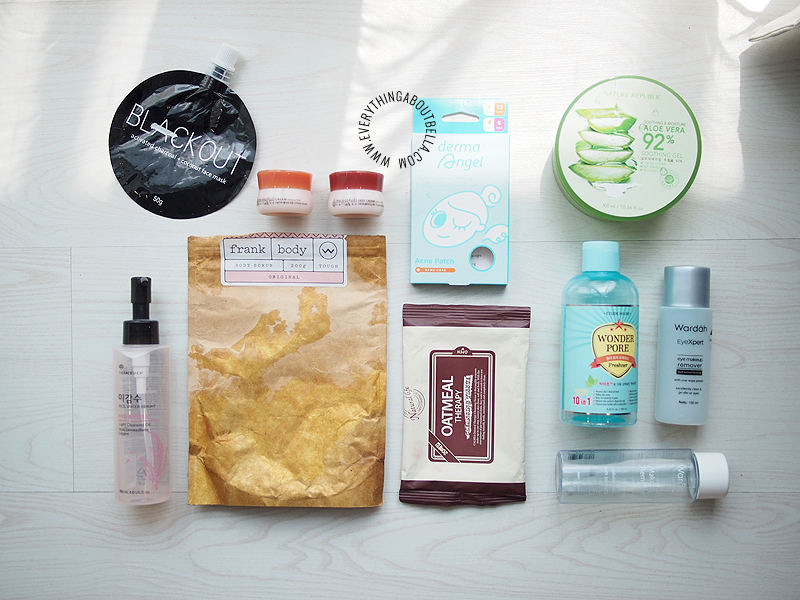 That's all for the empties, part two will be up at the end of the year, so stay tuned for it too! 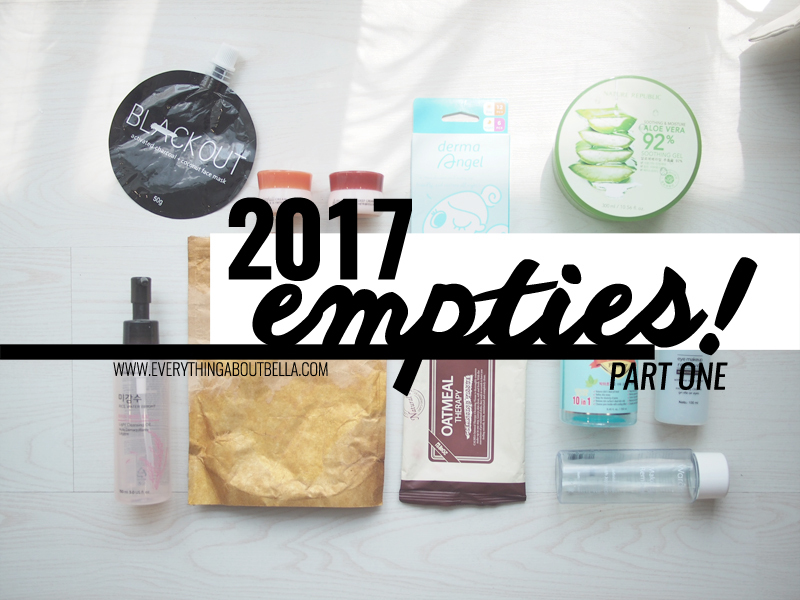 What have you emptied this year? 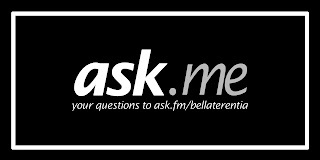 Anything special to recommend to me?